Home / Archive / featured / Ofcom intervenes over BT Sport "unfair contract terms"
Ofcom intervenes over BT Sport "unfair contract terms"
Ofcom has intervened to help BT customers who found themselves paying for a BT Sport package they didn't want. The investigation came under Ofcom's powers to take action against unfair contract terms levied on customers by telecoms operators. 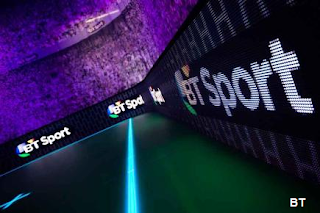 At the beginning of August, BT changed its pricing structure for its BT Sport package. With the exception of customers signing up for BT's YouView service, customers had to begin paying to receive previously free BT Sport channels. They were automatically opted in to the £5 a month charge, which also gave them access to new channel BT Sport Europe. Only BT Sport 1 remains free (the so-called "BT Sport Lite" pack), but customers had to get in touch with BT to remain on the free package. BT wrote to customers in June and July informing them that the charge would start being added to their bills from 1 August unless they contacted BT by 31 July to downgrade to BT Sport Lite or cancel. Ofcom now says that some customers complained to Ofcom saying that unless they actively downgraded, they were being charged an extra cost that they hadn't previously agreed. Any customer who does complain will be offered a 'no quibble' refund of any charges paid; and the opportunity to downgrade to BT Sport Lite or cancel their BT Sport service. Ofcom added: "BT also told us that as part of a planned review of its terms and conditions it is reviewing its BT Sport contract, including with a view to amending its terms to more clearly set out the circumstances in which it may change the BT Sport service and price." BT has set up a webpage to deal with complaints, which is available here. So OFCOM's intervention hasn't done anything - you still have to take action yourself to avoid the charge.